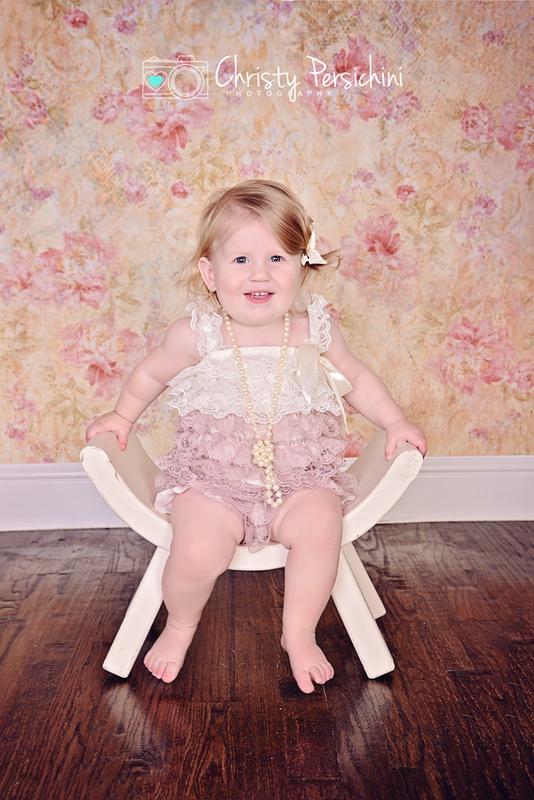 I have had the pleasure of watching this little girl grow up since she was a newborn. 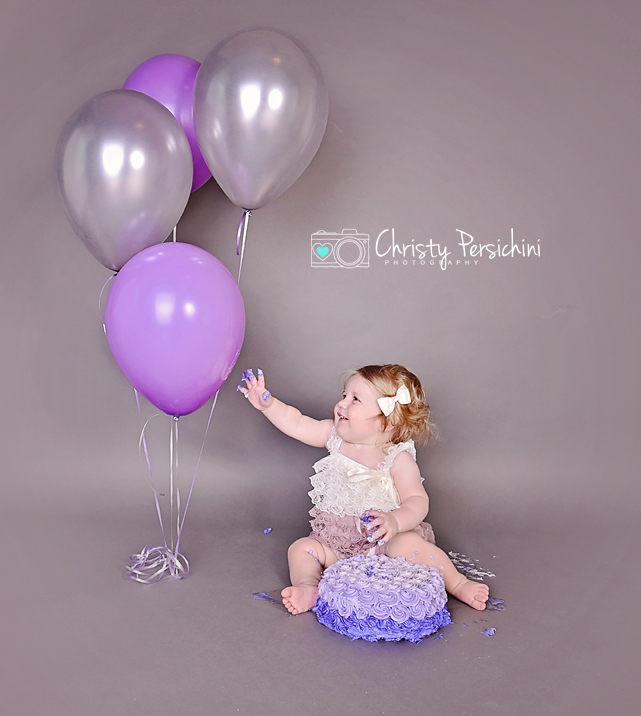 Loved the purples and grey used for this cake smash session. 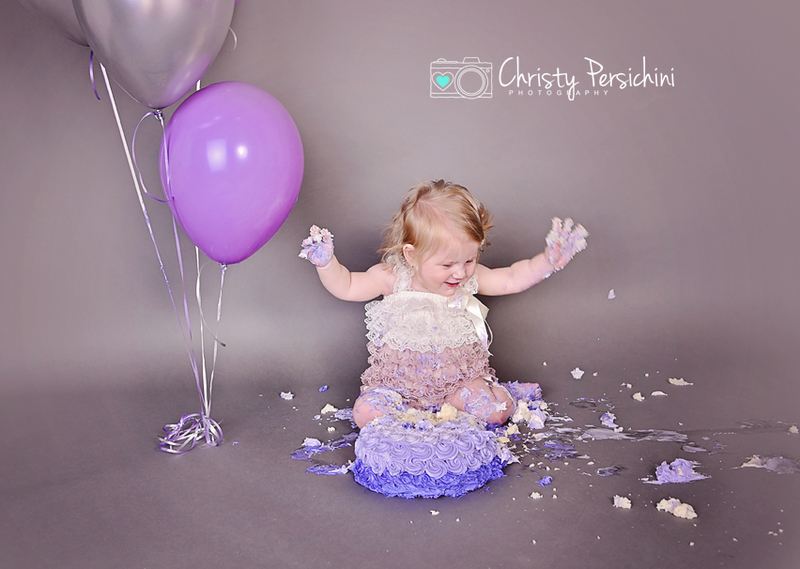 Cake smash sessions are my favorite by far. 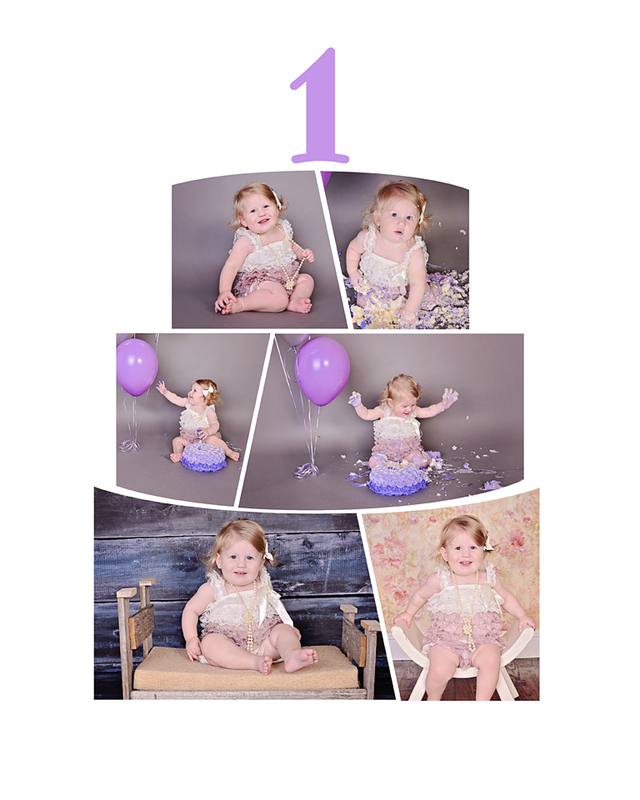 I am going to start including a photo collage for one year sessions like this cake one.